She never intended to stay. So why is leaving so hard? The fertile prairies of Dakota Territory have finally begun to yield the bountiful harvests the pioneers have dreamed about since leaving their homes in Norway. The tiny community of Blessing is beginning to expand and thrive, its hardy citizens at last enjoying a measure of prosperity. Mary Martha MacCallister comes to Blessing from Missouri to visit her brother. She volunteers to help at the schoolhouse and, with her gentle southern charm, quickly wins the affection of all. 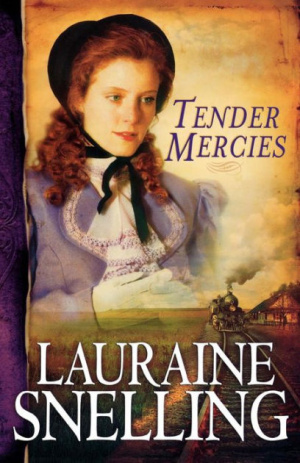 Tender Mercies by Lauraine Snelling was published by Bethany House in February 2007 and is our 27070th best seller. The ISBN for Tender Mercies is 9780764201950. Be the first to review Tender Mercies! Got a question? No problem! Just click here to ask us about Tender Mercies.